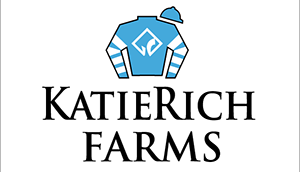 Congratulations are in order for Larry, Karen, Mark and the KatieRich team on the impressive win by Bookman in the 5th race on Keeneland’s April 23rd card. This colt ran a great race winning in stellar fashion wire to wire. On a side note, Bookman’s dam, Papa Sids Girl also won impressively for her first career start at Keeneland in April of 2003. We look forward to a bright future for this colt.